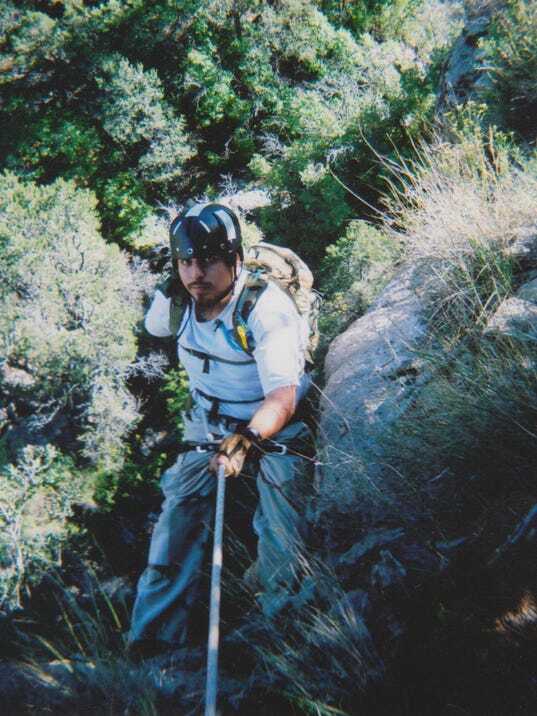 One day seven years ago, James Hiller saw the Alamogordo Search and Rescue rappelling as part of their training and he immediately became interested in the group. Hiller, currently section chief of plans, operations and an evaluator for Alamogordo Search and Rescue, said he likes the excitement and has always enjoyed helping people. Alamogordo Search and Rescue is a non-profit corporation staffed entirely by unpaid volunteers who are individuals dedicated to helping others. Alamogordo Search and Rescue is activated for missions by the New Mexico State Police, District 8 and encompass Otero and Lincoln counties when there’s help needed to find someone who is lost or when recovering a body. Hiller said with the prominence of smartphones, it’s become easier to help find people in certain situations. Outside – 1 Jun. 2016 – Is adventure dead? This somewhat depressing question is one we contend with at Outside all the time. After all, many of world’s great adventure prizes, including the summit of all fourteen 8,000-meter peaks and the North and South Poles, were snagged more than a half-century ago. Today’s firsts, meanwhile, are typically defined by an almost comical list of qualifiers: First blind one-armed climber to stand atop Everest. Fastest human-powered Antarctic crossing. In June. During an odd-numbered year. One can look at this increasingly parsed and trodden landscape and conclude that, yes, sadly, adventure is dead. But you’d have to willfully ignore the 60-plus years of astounding climbing evolution continuing to take place on the granite monoliths of Yosemite Valley.